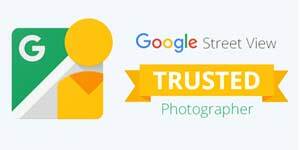 Come September 3rd 2015, Google Business Views will officially become a part of the Google’s Street View program, and will be rebranded as “Street View | Trusted“. The new Trusted program is expect to simplify the process of taking and publishing Panoramas and Virtual Tours to Google Maps. It also makes the publication process accessible to everyone – although qualified and experienced photographers can still attain a “Certified” status.